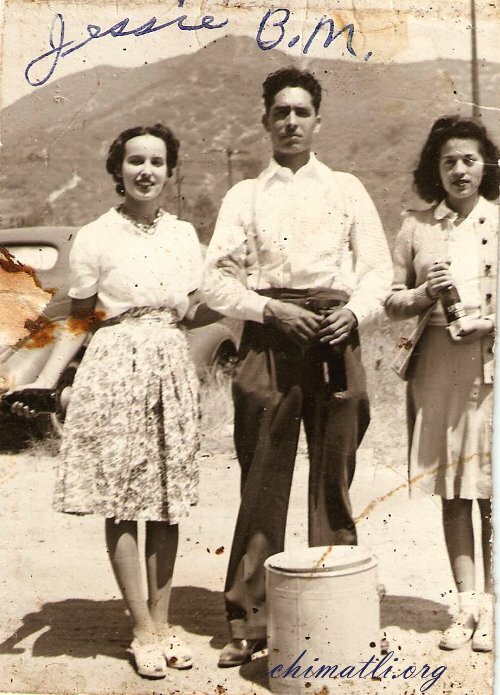 Every year my grandmother and grandfather would take road trips to Mexico. San Felipe, Baja California on the Sea of Cortez was a favored spot. How do you imprint the “chimatli.org” imprimatur on your photos? What beautiful looking women and what a strong looking gentleman. They look like they could have been Kennedys or every day people making a living. That generation truly carried themselves with class.